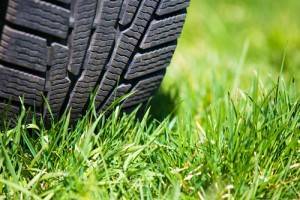 There are a lot of used tyres as waste material around the world. It presents a serious environmental threat. But this global problem can be successfully solved. The waste tires can be used for production of crumb rubber modified bitumen using our GlogeCore’s equipment. The Recycled Tyre Rubber can be also used for the new tires production, for fuel production, combustion to produce electricity, in civil engineering and sport applications. CRMB is used for highways, roads, junctions, sea port roads under any weather conditions. Using our GlobeCore’s modified bitumen systems you can have considerable environmental and economical benefits. HISTORICAL ASPECT In 1960 Charles McDonald, an American engineer from Arizona, invented technology of crumb rubber modified bitumen production. 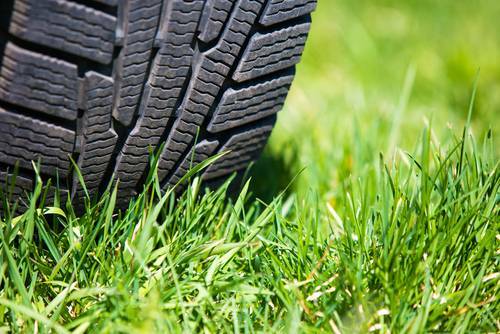 Since then a rubber from wasted tyres has been widely used for roads applications. At the present, CRMB is used on a routine basis in four states in the US: Arizona, California, Florida, and Texas. Now rubber crumb material is globally experienced and recognized. The application of CRMB is especially popular in India with support of state institutions and government. PRODUCTION OF CRMB Crumb rubber modified bitumen (CRMB) is being produced from heavy vehicle tyres by shredding scrap tyres into very small pieces. CRMB is produced by means of wet process in which crumb rubber is added to hot bitumen, then the mixture is blended mechanically until there is a “reaction” between the bitumen and crumb rubber. After that the rubber particles have been swollen because they absorb oils. It causes the viscosity of the CRMB. SORTS OF CRMB The Grade 50 is applied for colder climates, the grade 55 is manufactured for moderate climatic conditions, grade 60 is used in hot conditions. The temperature is the key factor for good CRMB paving. CRMB ADVANTAGE OVER NORMAL BITUMEN: • Higher resistance to deformation at increased road temperature. • Improved adhesion and bonding with automobiles. • Serves for heavy transport. • Higher softening point. • Higher skid resistance. • Smother car break and accident reduction. • Higher elongation and tensile strength, • Higher elasticity. • Less thermal sensitivity, cracks prevention. • Reduced degree of hollows for driving comforts. • High resistance to moisture due to rains. • Resistance to degradation due to high temperature. • Longer road pavement life and lesser maintenance. • Economical benefits, as there is no need to replace pavement, there is no need for additional equipment use.